Data logger USB cradle, software and start magnet. 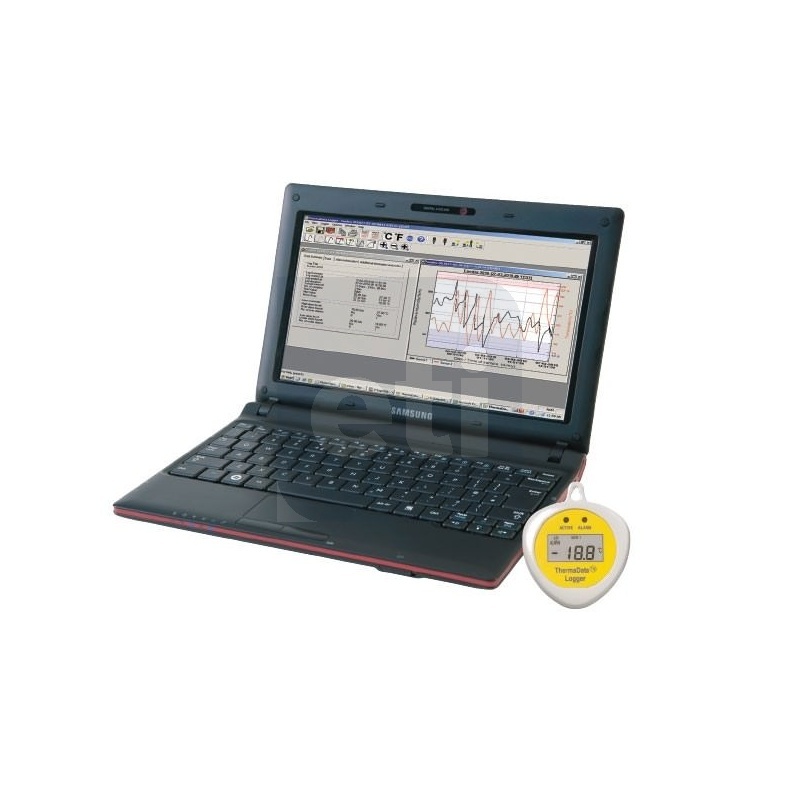 This data logger cradle or dock is supplied complete with ThermaData Studio PC software and a start magnet. Each USB cradle is supplied with a one metre PVC lead. 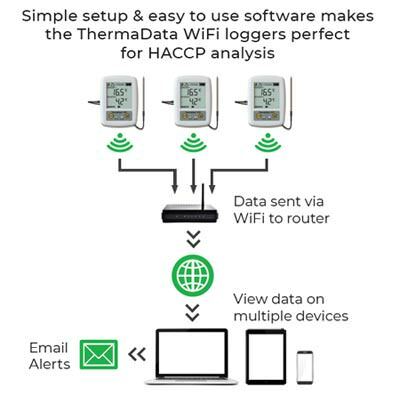 The ThermaData logger is connected to a PC via the USB cradle. By clicking the relevant icon the data can be downloaded and displayed either as a graph, table or summary. The information can be analysed by zooming in, storing to disc or exporting as a text (.txt) file to other software packages. The ThermaData Studio Software features the facility to send a SMS text message, up to four numbers simultaneously from your computer, when alarm limits have been exceeded. This allows the user to receive timely alarm information which may be critical to their business.